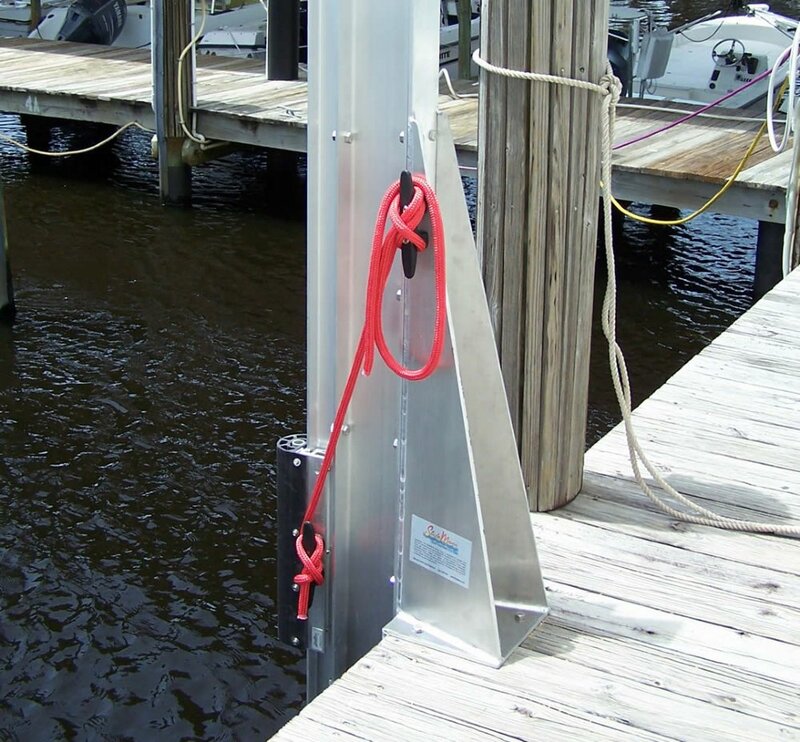 The SlideMoor PLUS 24" mooring solution for boats up to 90 feet. The SlideMoor PLUS 24" mooring solution is a best seller. 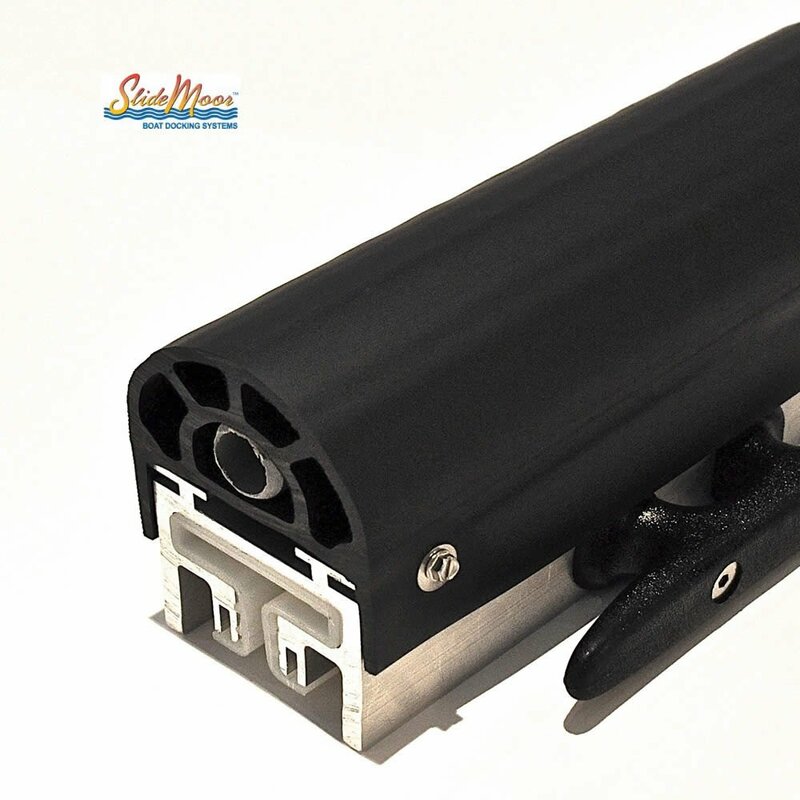 The 24" Slidemoor is designed for boats from 36 feet - 90 feet. Standard configuration is sold with one SlideMoor and one 8' I-Beam track. We have both I-Beam and Y-Beam tracks available in 8, 10, 12, 14, 16, 18 and 20 foot lengths. Length needed is determined by your total water level change. Base Price for SlideMoor PLUS 24" with 8' I-Beam is $1159 + shipping. Y-Beams are preferred for round pilings as they're easier to mount. Choose your Beam Type and Track Length using the Options menu above. 24" SlideMoor is For Boats up to 90'. Simplify Docking. The maintenance-free SlideMoor system works with two lines on one side only, making it the fastest and easiest docking system on the market. Safety of Docking for Users. 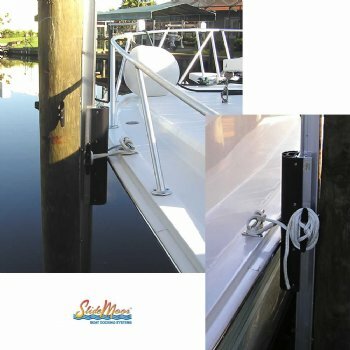 SlideMoor makes docking and boarding a much safer process by tying your boat tight to the system, merely inches from your dock. Safety of Docking for Boats. SlideMoor is truly a 24/7 peace of mind boat docking system. The SlideMoor system protects your boat from bumping, banging, waves, and tides. Severe Weather Protection. The SlideMoor system has worked in severe weather and hurricanes when all other systems have failed! No Codes or Permits. In most areas, it is not necessary to deal with codes and permits when installing SlideMoor. Cost Benefits. SlideMoor users have considerably less to buy and maintain over the years providing significant cost savings. 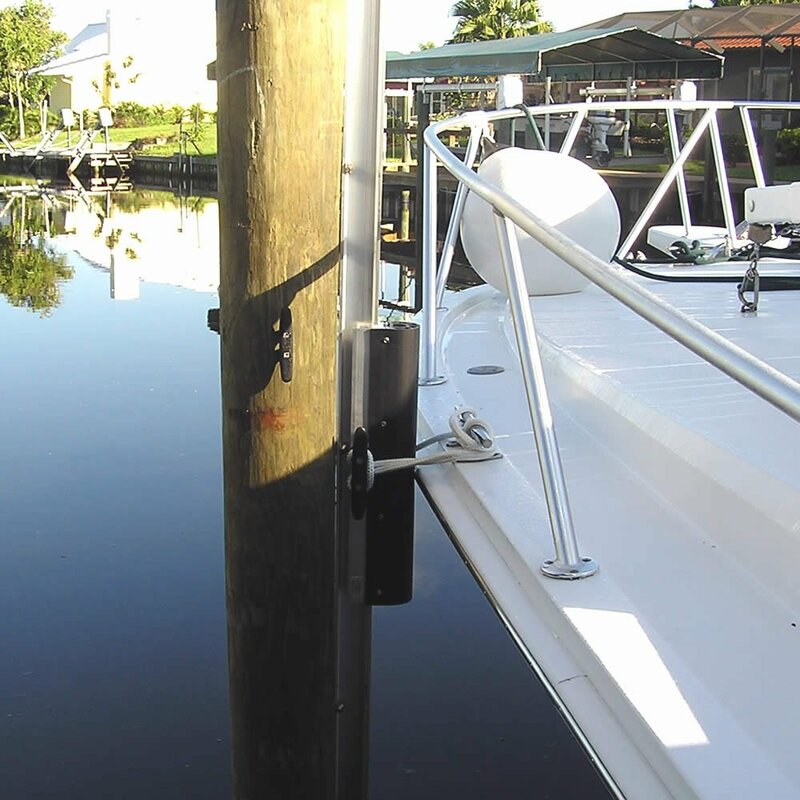 SlideMoor can be used on lakes, rivers, bays, canals, and most other waterways. We have sold thousands of systems and are in over 26 countries. 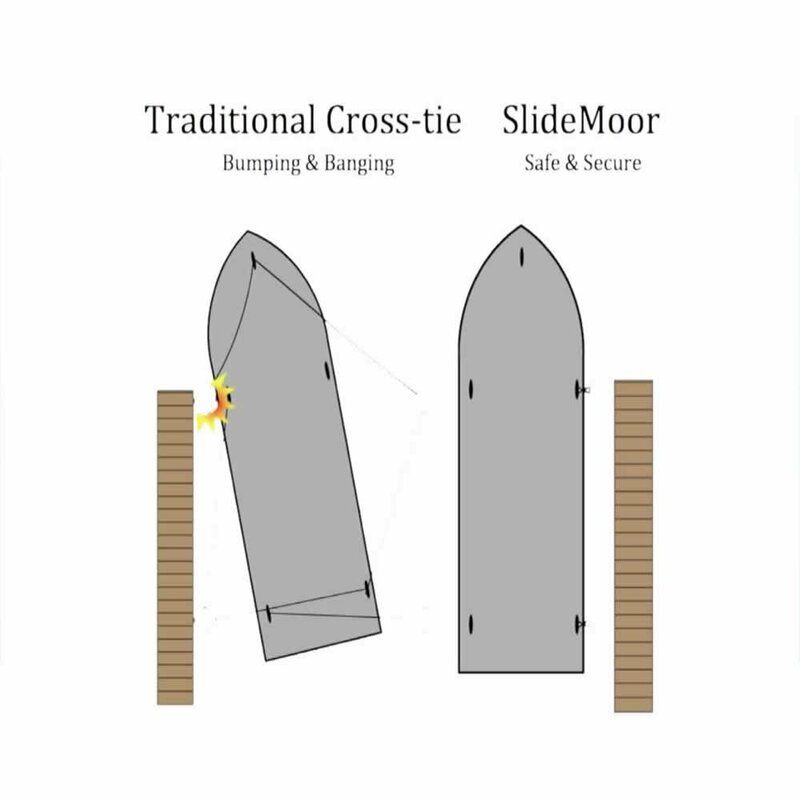 SlideMoor accommodates both motorboats and sailboats and works on boats up to 90 feet and well over 160,000 pounds. SlideMoor is not a universal solution, but we have found solutions for nearly all types of boats and docking situations. Before purchasing SlideMoor, view our documents and videos below to learn more. And of course, call them at (239) 263-7044. Let them know DockGear.com sent you. Want to know how much your boat can rock? Give us a call. We also have a team of boating and docking experts on hand to answer any of the questions that you may have. If you would like to talk to a SlideMoor specialists directly, feel free to call them at (239) 263-7044. Let them know DockGear.com sent you. MSRP does not include installation or installation hardware. Product pricing is per unit. A typical SlideMoor installation requires a minimum of two units. The SlideMoor Y-Beam Track is specifically designed to better accommodate attachment to round member pilings as well as providing easier installation of the required lag bolts. * Please select appropriate track type and length from options menu above.